Google Maps APIs is celebrating its 10th anniversary this year. Since Google Maps released its APIs to developers 10 years ago, developers have been able to integrate maps and location service to online and mobile apps. It was interesting to hear that a member of a band playing at the 2015 Google I/O Afterhour at Yerba Buena Center for the Arts on May 28, 2015 shouted out to Google Maps, among all the Google services, when they recognized the host. Departing tomorrow afternoon from Google I/O, Google's annual developer conference, at the Moscone Center in San Francisco, a 1959 GM tour bus, powered by bio-diesel, is hitting the road for a 14-stop cross-country trip called Code the Road to meet application developers and map creators along the way. The bus will make its first scheduled stop at the iFit ICON Heath and Fitness 5K treadmill run in Logan, Utah on June 2, 2015. 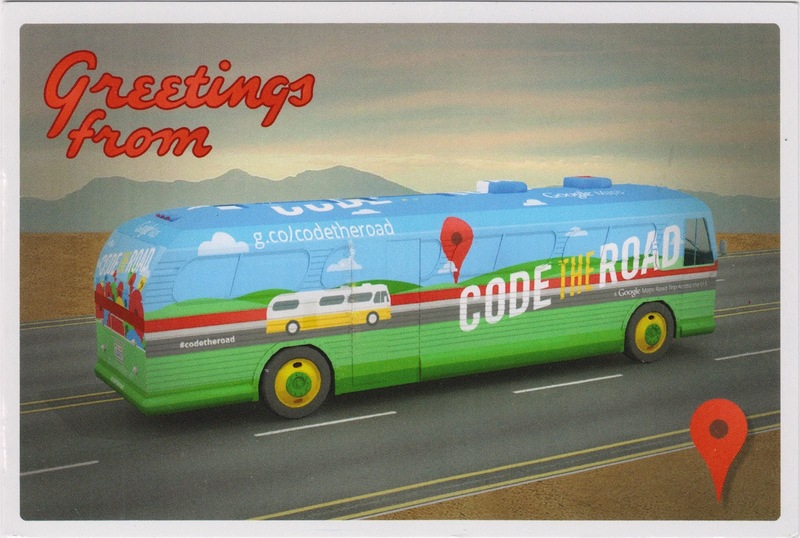 From there, the bus will stop in Colorado, Wisconsin, Illinois, New York, Virginia, and Georgia, with the final destination at the Walt Disney World in Orlando, Florida, showcasing many map and location applications developed using Google Maps APIs from iFit, Harley-Davidson, Lyft, Hilton Hotels, The Weather Channel and Walt Disney World. 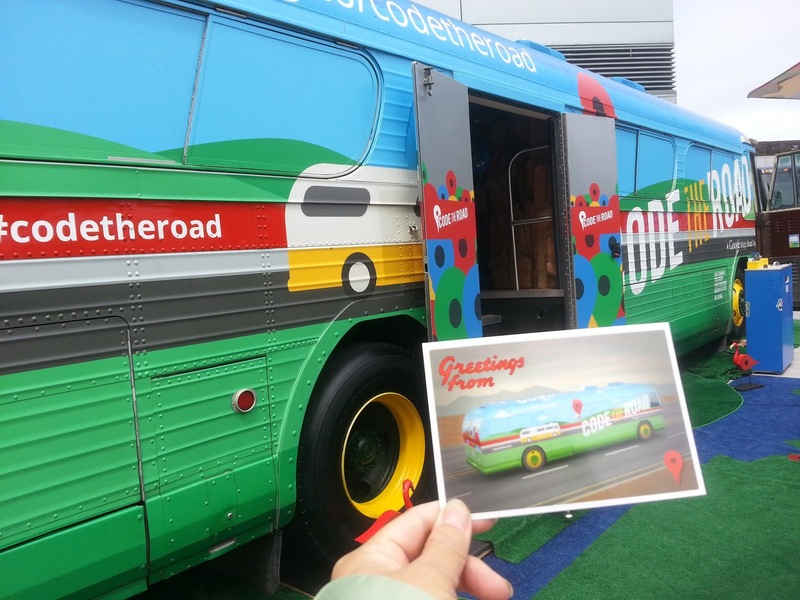 Outgoing postcard US-3373238 to Germany was sent from the bus when it was parked at the north-east corner of 4th Street and Howard Street, across from Moscone West during Google I/O. Whether you're looking for a Secret Santa Present for your friend, a Stocking Filler for the little one or a Christmas present for loved ones, Prezzybox have a great range of gift ideas for all! You will find the best Christmas gifts right here!